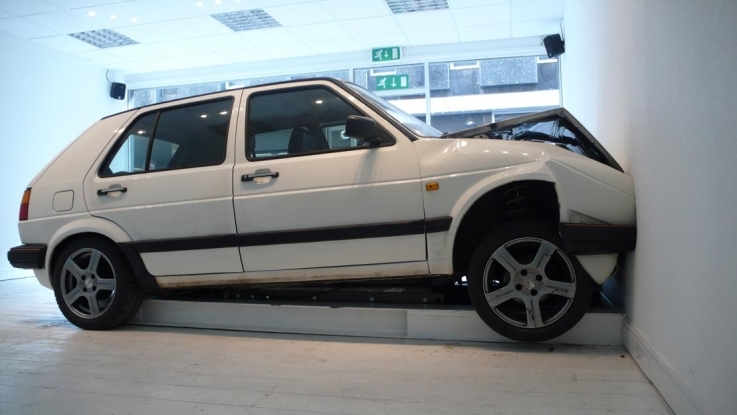 It’s somewhere between performance and installation art: last month, artist Jonathan Schipper slowly – and deliberately – crashed a car into a wall. Moving at microscopic speeds, the crash took place over the course of a full month, each day inching a bit closer to its inevitable fate. By isolating ‘effect’ and putting it on display, Schipper reminds us that life, and the things we do, make an impact on the world around us. He has created a piece of art that takes the long term not only as its medium, but as its message as well.